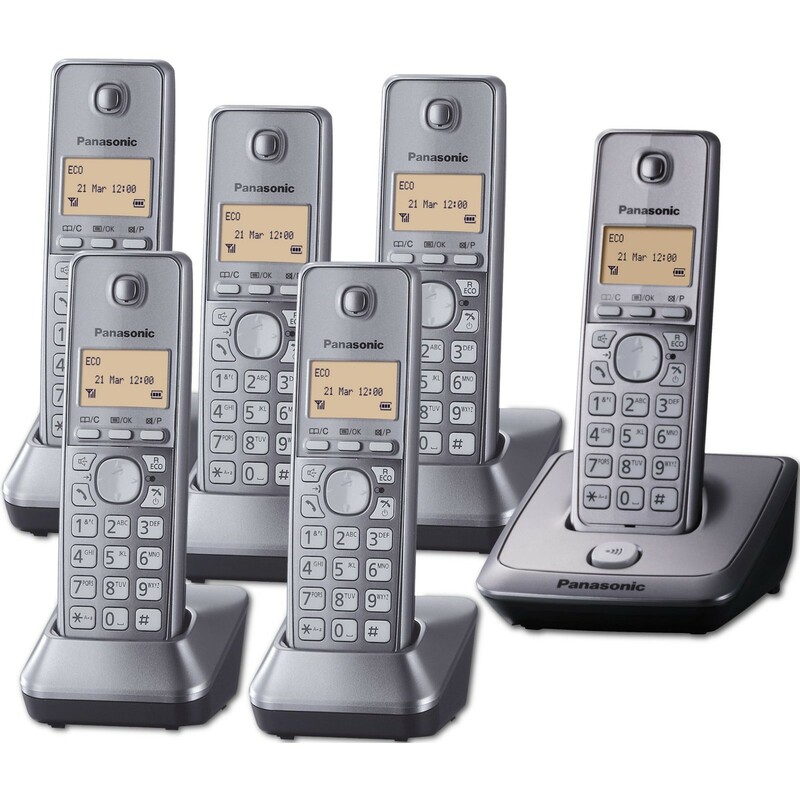 The Panasonic KX-TG2716 is a user-friendly set of home cordless phones, delivering basic functionality and reliable quality. Each ergonomic handset boasts well-spaced buttons, a clear backlit 1.4” display, an integrated loudspeaker, and benefits from Panasonics clear sound technology for crystal clear call quality on your landline. The 2716 further benefits from a dependable talk-time of up to 17 hours and reliable indoor and outdoor range making this an excellent choice for anyone looking for good value for money. The 2716 features Panasonic’s high-precision error correction system, which eliminates glitches and distortions of sound so you can enjoy clearer conversations on your landline calls, free from interference. And the in-built loudspeaker enables you to enjoy the convenience of hands-free or allow others in the room to participate in calls. As with all Panasonic cordless phones, the 2716 benefits from Eco ideas, which means it comes equipped with an energy efficient power plug for less consumption; and the one-touch eco mode allows you to lower the power consumption and signal output even further to help you make savings on your energy bill. If you are looking for a reliable set of budget cordless phones without an answering machine, the Panasonic KX-TG 2716 are an ideal choice. Easy to use, basic features, good quality, and great price.